During the latest episode of the Careers at ICE podcast, hear from Allison Parker and Cory Downs, who talk about what it’s like to be special agents with ICE’s Homeland Security Investigations (also known as HSI). 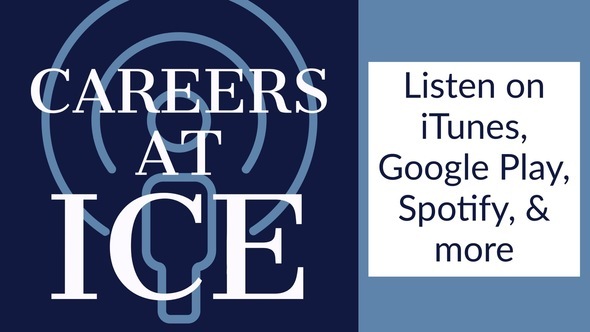 The Careers at ICE podcast highlights career opportunities at U.S. Immigration and Customs Enforcement, the hiring process and how to put your best foot forward. What is a special agent? HSI is the largest investigative unit in the Department of Homeland Security (DHS). It uses its unique immigration and customs legal authorities to protect the United States from all illegal activity with a border nexus. As an HSI special agent, you will support the mission of ICE by enforcing customs and immigration law while investigating criminal activity such as cyber-crimes, child exploitation, human smuggling and trafficking, drug smuggling, document and benefit fraud, counter-proliferation and transnational gang investigations.